Last Thursday, we had gotten the news that Tomok wife gave birth their second baby boy. People cannot wait to see their baby's photo. Through his Instagram page, Tomok had uploaded the photos and also revealed the name of his son who was named Andrashah Iman. Tomok feel gratitude for all processes that run smoothly when both mother and child are in good health. Alhamdulillah I am thankful that this time all-everything run more smoothly because the experience of the birth of Arrian first. So I'm ready for childbirth preparation in terms of goods for my wife and doctor also gave the expected date of childbirth on Friday. Alhamdulillah, Andrashah Iman is cute, right? Then fans cannot wait to see the behavior of Andra when teased by his father as Arrian before. 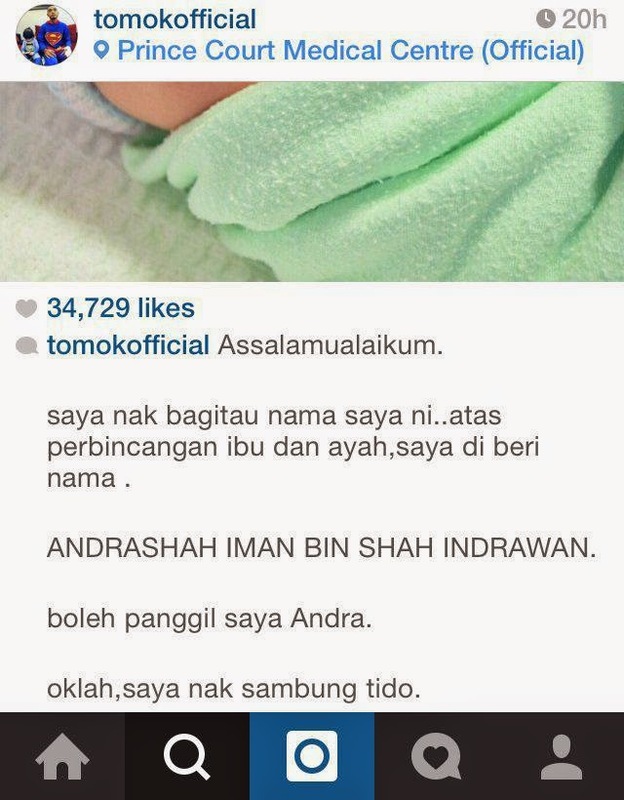 0 Komentar untuk "[5 Photos] Tomok's Second Son, Andrashah Iman"